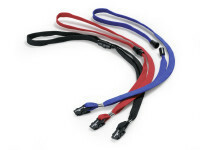 Internal dimensions: 2-1/8" x 3-1/2"
3/8" wide textile lanyard with safety release. Card holder with separate rooms with sliders holds 2 cards. High quality transparent plastic. Replacement badge holders for use with DURABLE ID/Security badge holders 8218, 8219 and 8267. Card holder with separate rooms with sliders holds 3 cards. High quality transparent plastic. Replacement badge holders for use with DURABLE ID/Security badge holders 8013 and 8224. Replacement badge holders for use with DURABLE ID/Security badge holders 8011 and 8118. 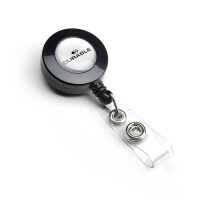 Replacement badge holders for use with DURABLE ID/Security badge holders 8005, 8012 and 8268.